Home » Blog » Spring Has Sprung! A recap of The Mighty Month of May. Spring Has Sprung! A recap of The Mighty Month of May. 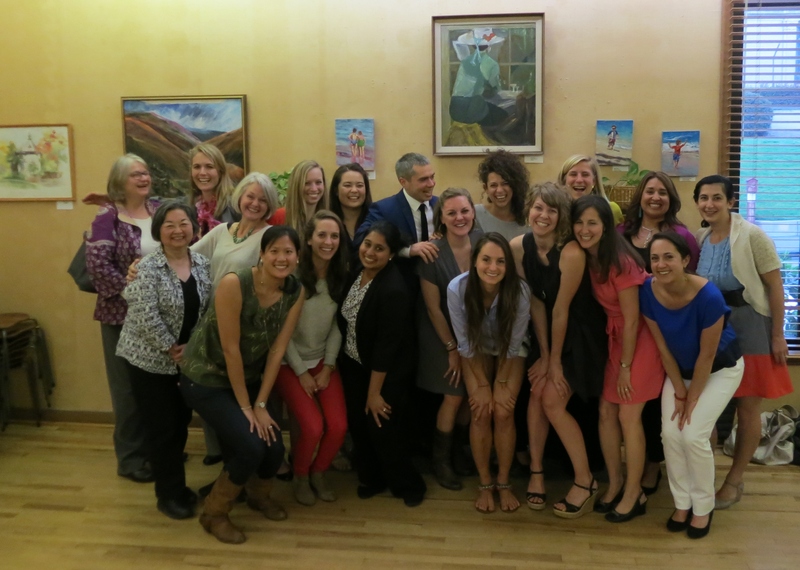 Two years after the first Public Health Nutrition class post-concentration-hiatus, the second year students presented their capstone projects at a soirée for fellow students, faculty, and guests. Second year PHN students spent the entire Spring semester working on their capstone projects with faculty member Lia Fernald, who guided students through the Masters thesis writing process. Their hard work culminated at the soirée, where each student had the chance to present his or her work and entertain questions from the crowd. In addition to wine provided by faculty, and catering by La Med, tasty desserts and dishes were prepared by first year PHN students, offering support the best way us Nutrition folk know-through food! Several of the PHN students prepared food and presented projects at an Innovation Feast. 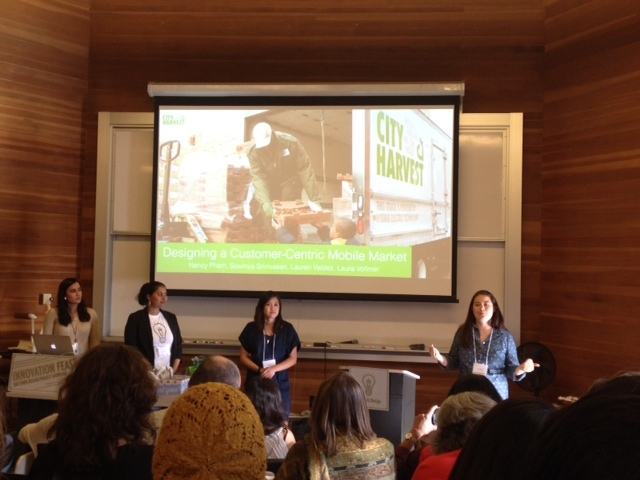 Their work involved designing innovative solutions for San Francisco’s Heart of the City Farmers Market token system, food distribution at City Harvest’s Mobile Market, and creation of a pop-up restaurant to celebrate Filipino culinary traditions with farm-fresh, seasonal food and stories. A couple PHN students wowing the crowd with their innovative ideas! The course, Eat.Think.Design., was co-taught by one of our PHN faculty members, Kristine Madsen. Previously known as Designing Innovative Public Health Solutions, the course was re-designed to have a food theme by four PHN students who had taken the human centered design based class the previous year. An idea that had been marinating for a year…finally came to fruition! The PHN first and second year cohorts celebrated the end of a successful year with a progressive dinner- three courses at three different locations. Round 1: The evening began in Jamie’s garden with some appetizing snacks, wine and beer. Round 2: Cauliflower crust pizza, asian slaw with peanut sauce, chili, and <classy> jungle juice at Mandy’s. Round 3: Delicious baked goods including peanut butter chocolate chip brownies, lemon tarts, and berry bars at Kate’s. Round 4: Post-dinner celebration with tea and chocolate at Dani’s. First PHN class in 3 years! 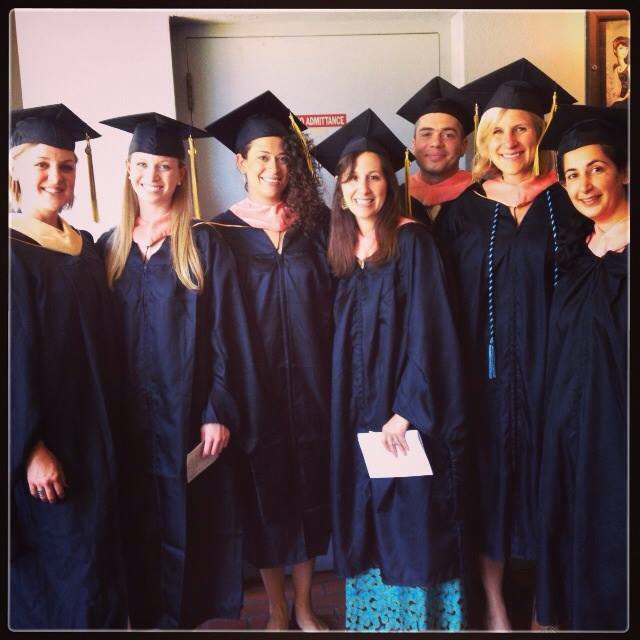 The first Public Health Nutrition cohort in 3 years! After a brief hiatus, the PHN concentration is back in full swing! Faculty member Barbara Laraia introduced the graduating students at the commencement ceremony in Zellerbach Hall. Now these lucky students can tack on the letters M, P, and H to the end of their names! Many congratulations to the graduating class! We look forward to what the next year class will bring to the table. Speaking of the table…here (PHN recipes) are some of the delicious recipes you just read about! By phnblog in Blog on May 23, 2014 .
newsletter service. Do you’ve any? Kindly let me realize so that I could subscribe.